A hatchet is sitting before a tree. The tree asks, "what are you doing here?'' The hatchet replies, "I have come here to cut you down.'' The tree then said, "You can not cut me down, alone, but with the help of my descendants you can do it.'' The idea is that the ax-handle is made of wood, and so without the assistance of the wooden tree, the hatchet is useless. 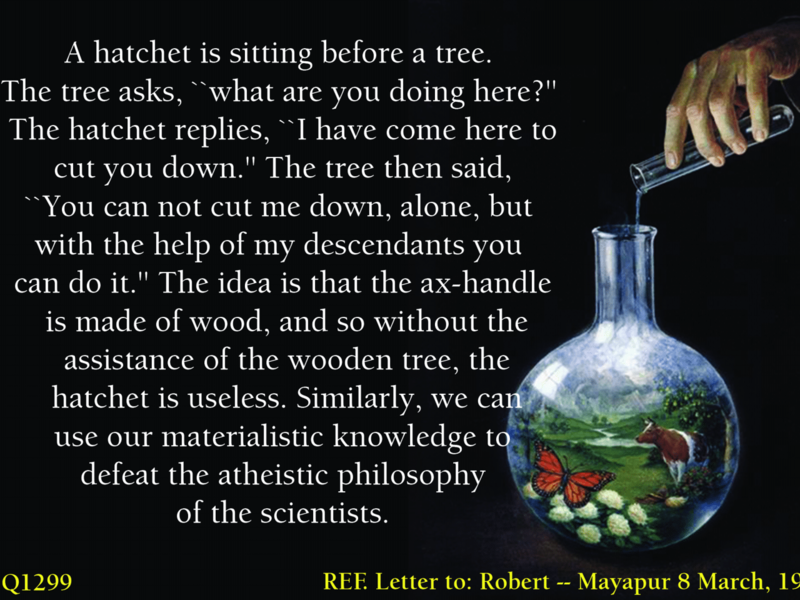 Similarly, we can use our materialistic knowledge to defeat the atheistic philosophy of the scientists.